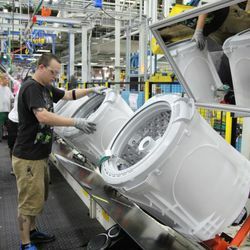 LOUISVILLE, Ky., — Jan. 27, 2015 — GE’s (NYSE: GE) new, high-efficiency washer and dryer pair— redesigned to meet new 2015 energy requirements—will hit the market in September with Wi-Fi capability and an app of their own. GE’s My Washer and My Dryer apps will allow consumers to manage laundry tasks—such as checking cycle status or adding time to the dry cycle—from their smartphones. 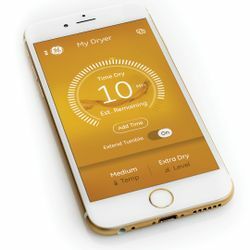 GE’s new, high-efficiency washer and dryer pair allows consumers to manage laundry tasks, such as checking cycle status or adding time to the dry cycle, from their smartphones. Monitor cycle status and time remaining. 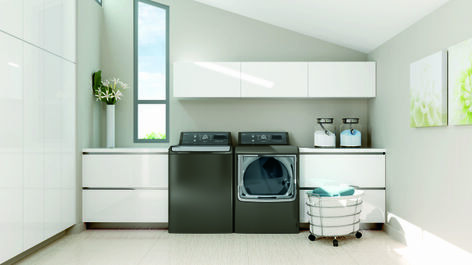 There is no need to constantly visit the laundry room waiting for your laundry to finish. The app will allow you to see how much time is left until the cycle completes. Signal to an open door. With laundry rooms tucked out of sight, forgetting to switch loads from the washer to the dryer is pretty common. 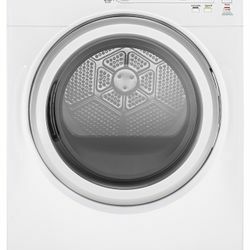 The app can remind you when you have forgotten to move a load from the washer to the dryer. Download custom specialty cycles from the cloud. Consumers can preset cycles they use most, such as Active Wear or Quick Wash. Display levels of SmartDispense™ tanks. Keep your reservoir full of detergent and fabric softener with the help of the app. Extend dryer cycle. Delay the rush to fold clothes and minimize wrinkles setting in. Keep that cycle going from your phone. Stains are so not my problem. Consumers don’t want to spend time muddling over how to remove mud stains. The new washer has a stain removal guide that identifies four of the most common stains and automatically adjusts the wash cycle to remove them. GE also takes the guesswork out of drying clothes with CleanSpeak™ technology. The dryer sets the controls for the next load automatically based on the wash cycle just completed. Countdown to clean should be shorter. The time-saver option whittles cycle time by 10 percent. Check off your laundry chores more quickly. In addition to the convenience of what apps offer now, GE owners can keep their appliances’ software up-to-date, similar to updating a smartphone’s operating system. “As we add additional features to the appliances, it’s as simple as updating the app to receive the newest software for your connected appliances,” said Liz VerSchure, general manager for GE’s connected appliances.